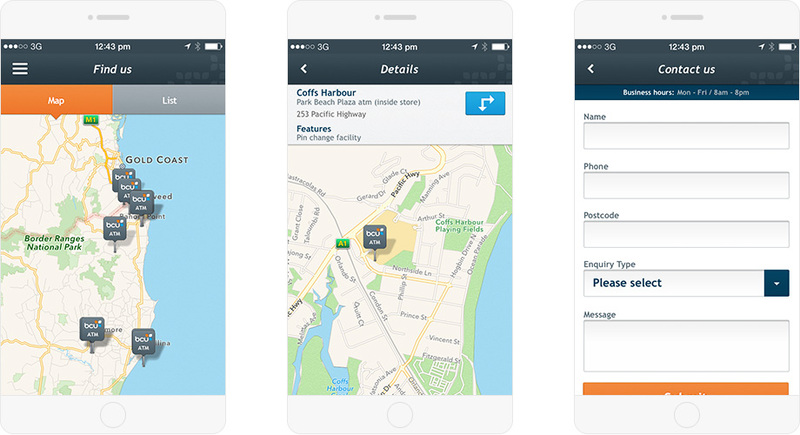 The bcu mobile banking app gives customers access to a suite of banking services on-the-go. 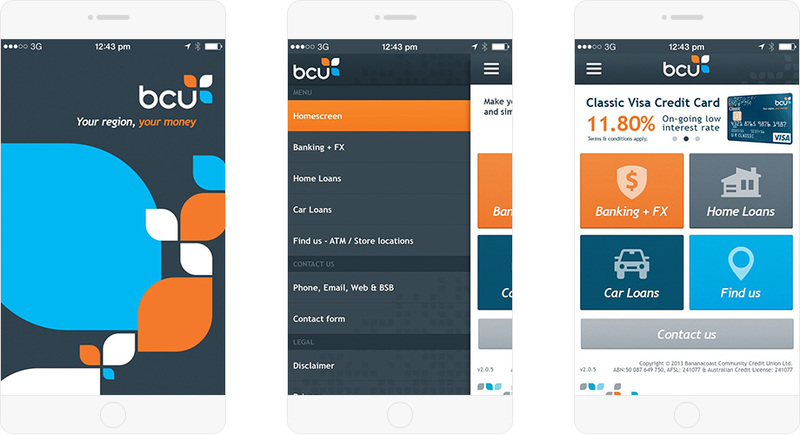 Binary redesigned and rebuilt the bcu iPhone application from the ground app – streamlining navigation and content from three apps into a single customer focused utility. 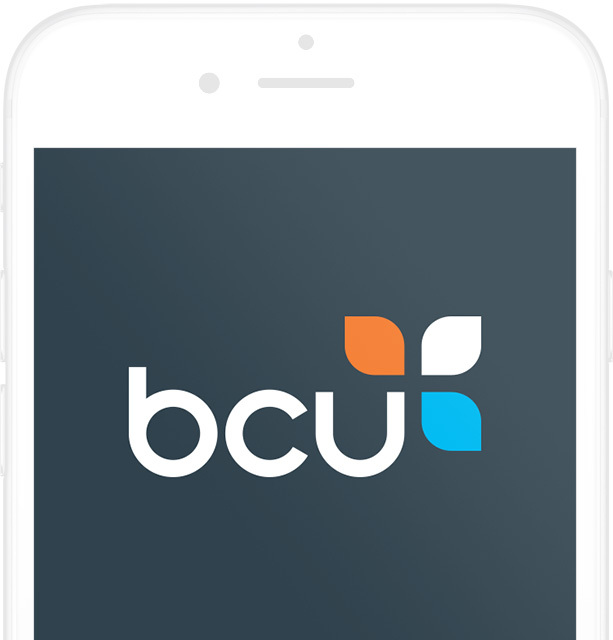 The result is a remarkably improved user experience for bcu customers with access to interest rates for all products, foreign exchange rates and currency calculator, ATM / store locator and contact details. 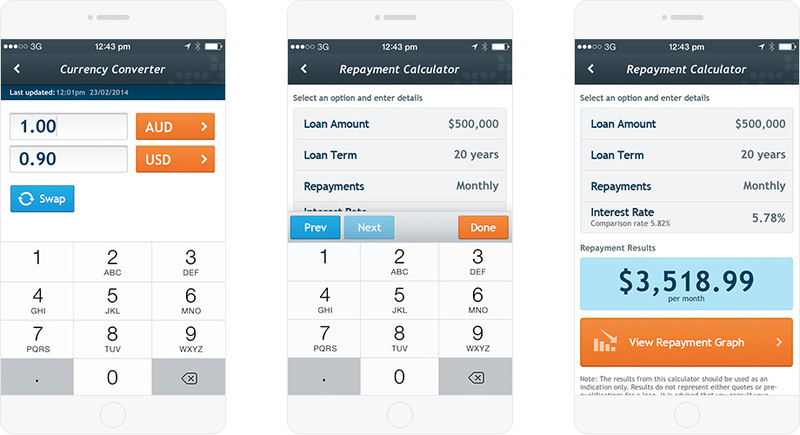 We also built repayment calculators for home loans and car loans that visually display interest and repayments over time. The iPhone app was such a success that an Android version has been produced with the same features and works on over 100+ different phones and tablet devices.